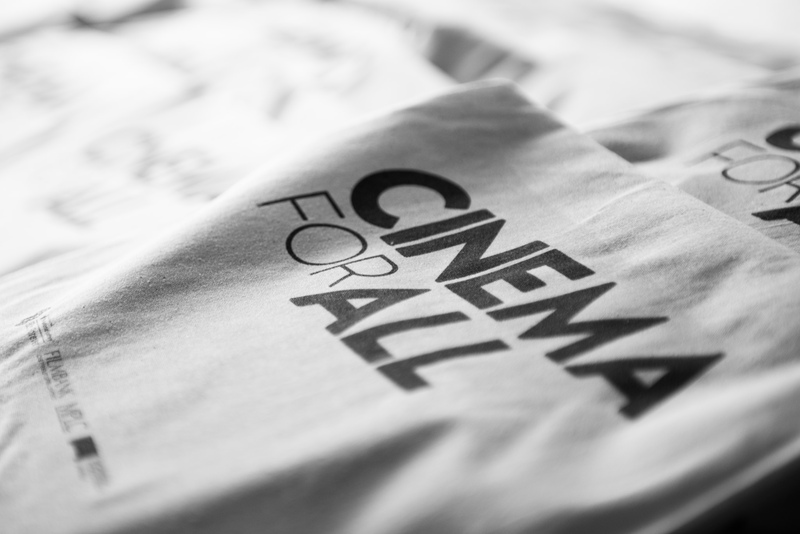 The highlight of the community cinema calendar, the annual conference and awards ceremony hosted by Cinema for All, never fails to enthuse and inspire. 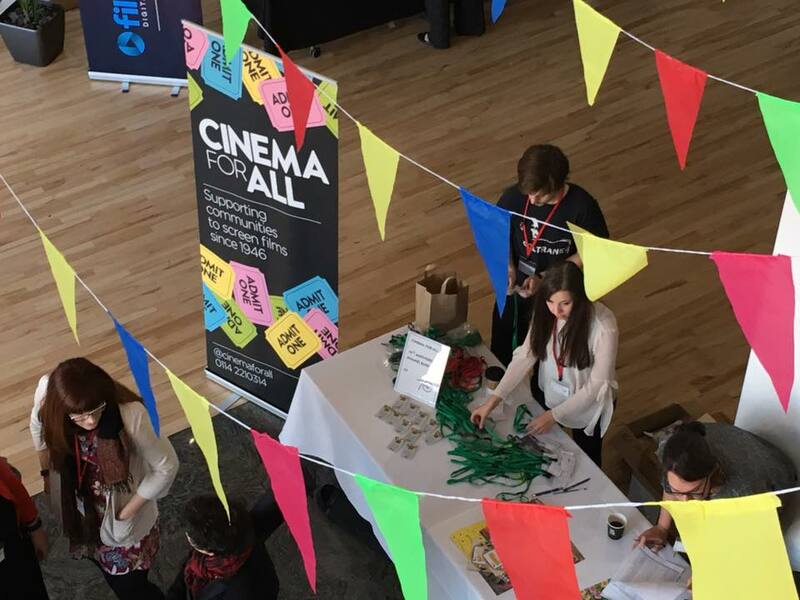 This year’s event was no different, offering a choice of new and varied independent films alongside topical panel discussions. We, the organisers of community cinemas, from the highlands of Scotland to the most southernly tip of Cornwall, gathered together in Sheffield to enjoy becoming an audience and to celebrate the wonder of what we do. 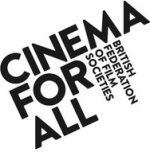 This year Cinema For All celebrate their 70th year of supporting volunteer-led film societies and community cinemas in the United Kingdom. They represent a side of cinema that on the whole goes unrecognised by the industry, yet our contribution is enormous and is growing year on year. I won’t bore you with statistics but the new grass roots organisations that are springing up across the country are bringing independent cinema to an ever increasing audience in areas where people would struggle to get to see the wide range of films screened. It is a great experience meeting others who do the same in so many new and innovative ways, championing film and the cinematic experience far and wide. And it is you, our audiences that make it all so worthwhile, as let’s face it, without you braving the elements trekking out to watch our films we would not exist. So it is always with our audiences in mind that we strive to create as many new and immersive ways to deliver film that we can. This year we have changed our name, welcomed many new faces to help us in our endeavour and have been busy working behind the scenes on a new project. This project has been recognised by Cinema For All and their partners Filmbankmedia and we are the proud receivers of the top prize in Filmbankmedia’s first Innovation Award. On November 5th, we ventured out onto the stage at the award ceremony and with knocking knees and wobbly voice, gratefully received £3000. This money will allow us to buy a back projection screen, a Go Pro Camera and 50 silent disco headsets. Welcome to the new world of pop-up cinema Marsden style. Background disturbance will become a thing of the past, as with headphones on you can enjoy films in any environment that we are brave enough to screen in. Starting with the New Goods Yard in Marsden, we will combine forces with the young people who have been working tirelessly to get planning permission for their skatepark. Furnishing them with a GoPro camera and some training to help them produce some short films of their own we will, in the tradition of our namesake a century ago, take the cinema to them. None of this would be possible without the committed support of Cinema for All and Filmbankmedia, not least the thrilling, albeit terrifying, opportunity to go up on stage and receive our award. But awards aside, it is for the rewards that we do what we do. The reward of hearing an audience gasp or laugh at the same time, see someone wipe their eye as the lights go up and the simple yet eternal pleasure of immersing ourselves together in the magic of cinema. The conference and awards are an opportunity to remember that we are not doing this in isolation, but across the nation others are out there, in such a wide variety of venues and locations, doing the same thing. Thank you Cinema for All for making us all something so much bigger than the sum of our parts and here’s to another seventy years of magic. Miles Ahead – a review.